Many Tennessee residents require ongoing, in-home medical care. When companies assume the responsibility of providing medical equipment for such patients, they are subject to the same negligence and product liability laws as any other manufacturer or distributor. Among other things, this means the company must ensure the equipment is setup properly and that patients and their caregivers receive proper operating instructions. A Knoxville jury recently awarded damages to the son of a man who died after his in-home medical oxygen equipment started a fire. The defendant was the company that provided the equipment. Although the judge presiding over the case reduced the jury’s final award, she rejected the defendant’s attempt to throw out the verdict altogether. The victim was in his early 70s. He lived in a camper on his son’s property. The defendant set up medical oxygen equipment in the camper to help the victim breathe. At trial, the son presented evidence that the defendant’s employees failed to teach his father how to properly use the equipment, that they did not check to make sure the environment was suitable for this type of medical oxygen, and that they did not investigate or fix any possible oxygen leaks. The defendant also tried to avoid responsibility by claiming this was really an improperly filed medical malpractice lawsuit. In Tennessee, medical malpractice plaintiffs must comply with special rules not applicable to ordinary negligence claims. The defendant argued that since it was setting up medical equipment, its actions fell within the malpractice rules. The judge disagreed. While “prescribing medical oxygen is a health care service,” the alleged negligence here was caused by delivery technicians, who are “expressly” banned from providing health care services under state law. 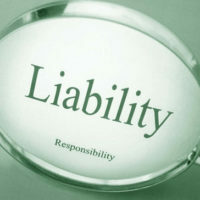 While the judge did not disturb the jury’s findings on liability, she was required by law to reduce the amount of the final award. The jury awarded damages of $2.5 million in “noneconomic damages.” Tennessee law normally caps such damages at $750,000. The jury also found the victim was 49 percent responsible for his death. Under Tennessee law, the judge first reduced the award to account for the victim’s comparative fault and then applied the cap, which came out to the full $750,000 allowed by law. Losing a parent, or any family member, due to negligence is something that nobody should have to experience. But if such a tragedy does befall your family, it is critical to speak with an experienced Tennessee personal injury lawyer who can help you identify the responsible parties and hold them accountable. Contact the offices of Fox & Farley, Attorneys at Law, in Clinton or Knoxville to speak with an experienced product liability lawyer today.